Disney movies and Kevin McCloud’s Grand Designs has stirred a bit of a fascination with ancient castles, and there are plenty of them in Europe, so much so, one could easily plan a long holiday based solely around visiting each and everyone. 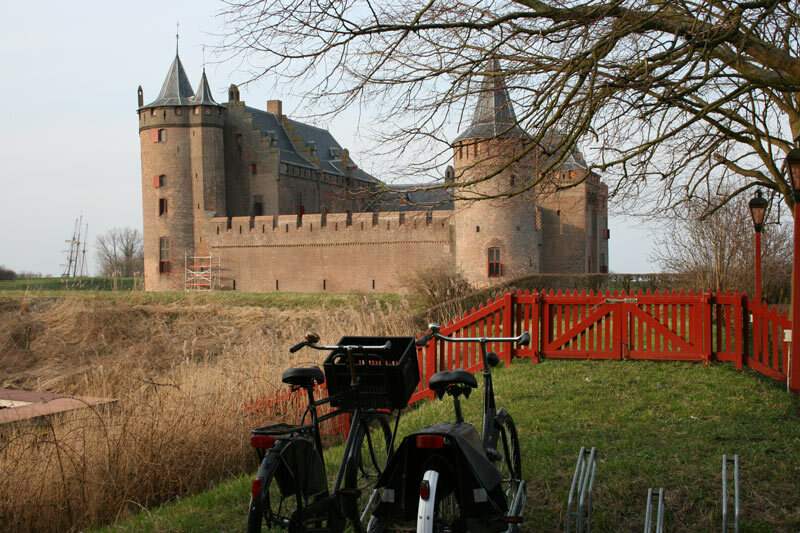 Castle Muiderslot is 15 km or so from Amsterdam and a spur of the moment decision during our travels through the canal city gave birth to a little adventure. On a grey morning at the tail end of winter, Derek and I met our friend out front of his accommodation, which I absolutely loved by the way. 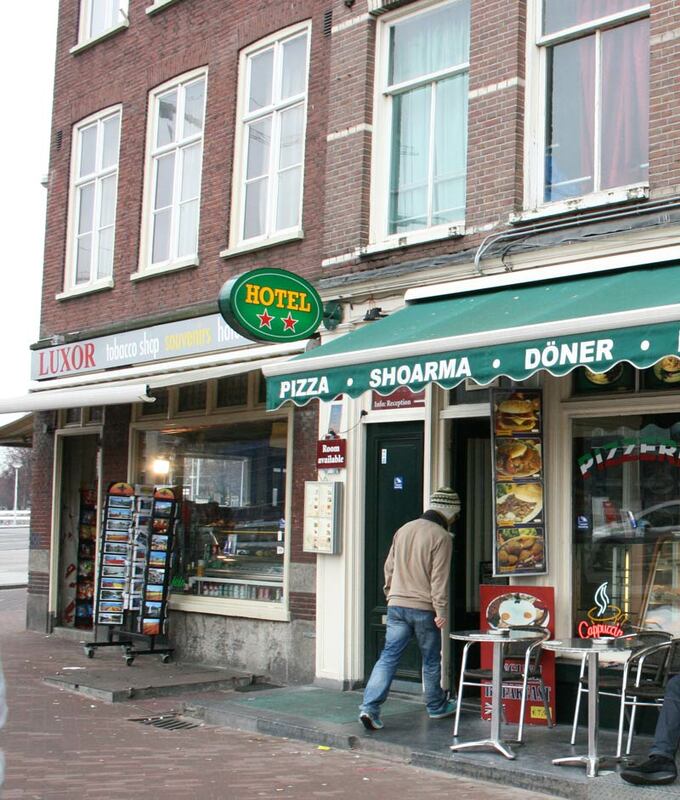 A basic room above a kebab store with stroopwafels coated in coloured icing sitting in the window. Amsterdam is a city of some wonderfully quirky accommodation. House boats. Canal residences. Rooms in an attic. Even our faulty towers style hotel overlooking the corner of a historical canal was good fun. A pokey residence with narrow climbing stairs, a shoebox room and a pair of resident cats. Couldn’t have asked for a better place. We still receive an E-Christmas card from Hotel Nadia signed by Osam. So, meeting our friend, the boys gave the scooters the once over. Since the hire scooters were permitted on the footpath we decided to use them instead of the bicycles, it was really windy and we had a big evening the night before. Enough said. We were a little disorganised for this journey. Earlier on in the hotel room I took a quick look at googlemaps to find Muiderslot was south east of Amsterdam. Okay great. I can’t really tell you how, but after some cake we managed to find a signposted cycle path that led us to the town of Muiden. 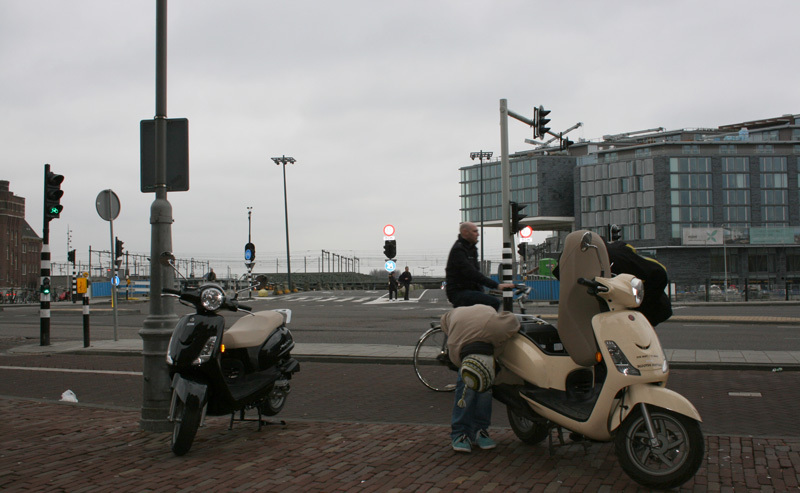 In winter, the air from the north is ice cold, no rain about, just a shivering chill that intensifies sitting on the scooter, and I probably could have dressed a little warmer. We moved along the footpath slowly (speed capped at 25km per hour – law apparently) and not too far away from the main highway. I guess you could say at that speed, we saw much of the local landscape. Maybe a car would have been quicker but we had no deadlines and I think it would have been a tad boring. Adventure is never comfortable! 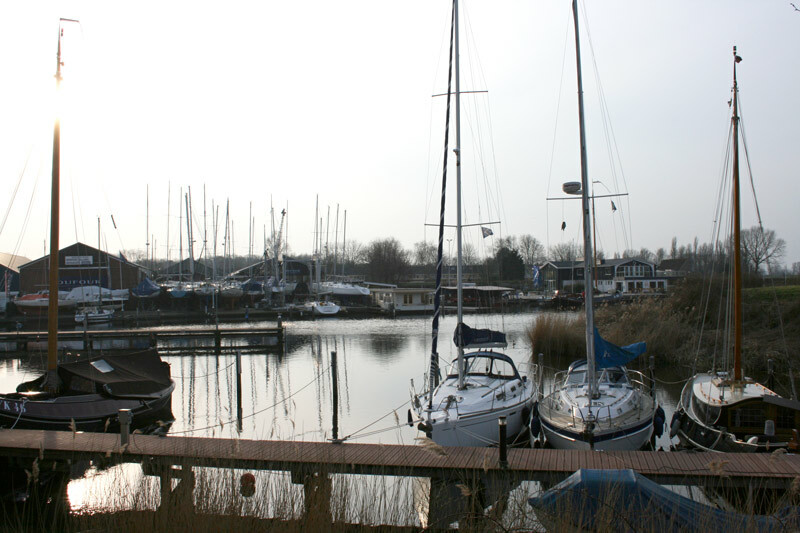 The quaint town of Muiden was a change from the busy streets of Amsterdam, it was quiet and serene as the sun was setting over the river. We broke the silence, whizzing loudly through the gates, passing a couple who look displeased with our entrance, and to discover the castle was closed for renovations. The once fortess looked magnificent – drawbridge, tower and moat. Not everything goes to plan on holiday but this was a moment that has stayed with me since and I did get to see a castle after all. Muiderslot holds a long history from as way back as 1280 and probably one of the oldest structures I have laid eyes on. If you’re staying in Amsterdam I ‘d definitely recommend venturing out of the city and exploring what the fringes of the city. Returning to Amsterdam we were chilled to the bone and fortunately found a sheltered vending machine. The coffee was terrible but it was hot and therefore good. We left on our journey tracing the footpath and passing a small vehicle no bigger than a golf cart.